Do you want to use your RV more? 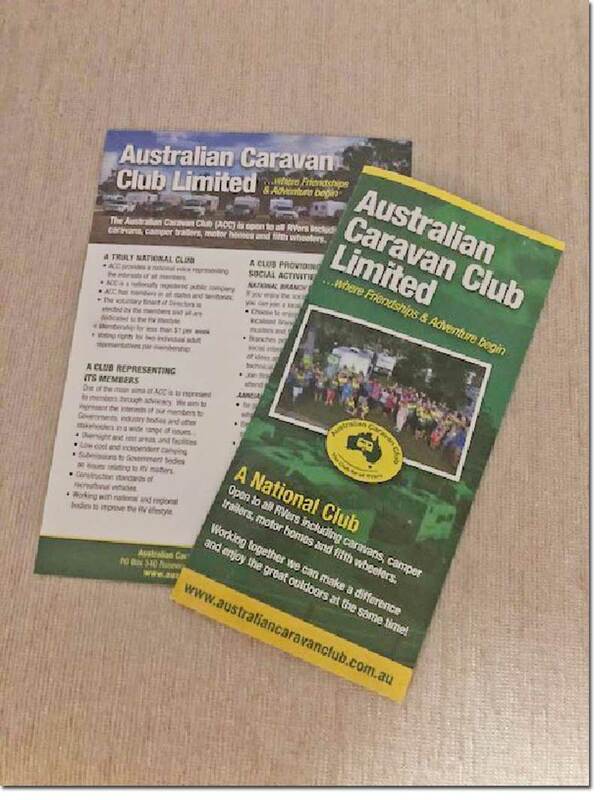 Tha Australian Caravan Club (ACC) invites you to join us and get away more in your RV. The ACC has branches across Australia from Cairns to Perth and had over 200 organised Musters across the country each year. These Musters are listed on the ACC website. 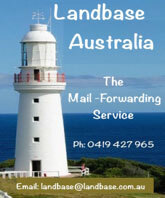 You are welcome as a visitor to any Muster in your area - just make contact thru the website. You’ll discover why the ACC is the Club - where friendship and adventure begin. On June 1, the ACC Cooloola Coasters left for a tag along tour to Cooktown. The tour was attended by seven caravans who will meander along for about six weeks, taking in the scenery and points of interest in each town and their surrounds. The Cooloola Coasters try to have something organised each month. If a trip is not planned, they organise to have a get-together lunch. 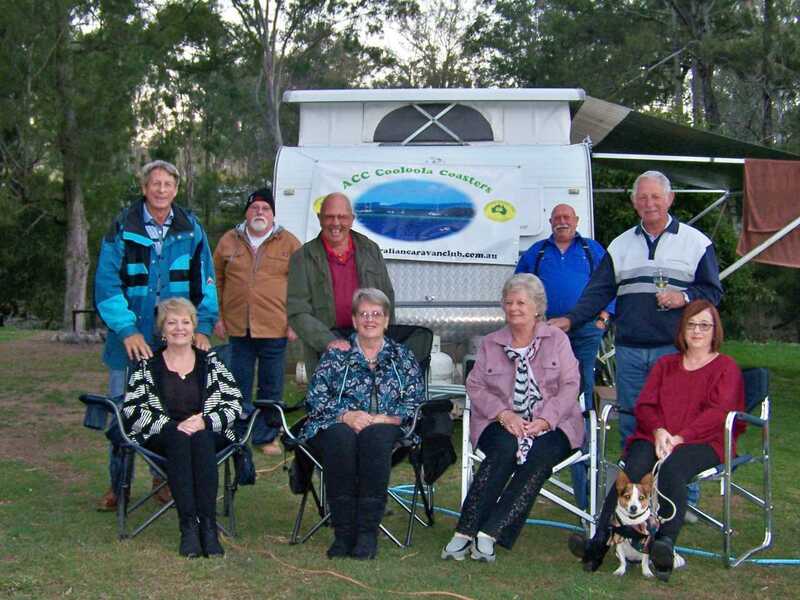 Cooloola Coasters’ are a branch of the Australian Caravan Club and are always looking for new members to join. 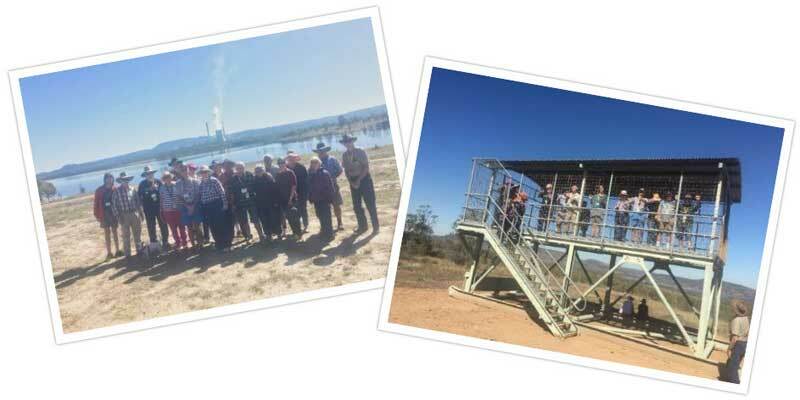 The Sunset Coast Travellers fourth Muster for the year was at Corrigin - a wheat and sheep town 230Km south east of Perth with 32 members attending the Muster. Corrigin has a famous past. In 2002 it set a World record for "Dogs in Utes" - a total of 1527 Utes with Dogs descended on the town. over the remains of their faithful four legged companions. It was started in 1974. By the late 1980s there were about 20 headstones and there are currently over eighty. The town, recognising the importance of the cemetery as an attraction, has clearly marked the cemetery with the statue of a large dog and the town's website informs the world that "Any person is welcome to bury their dog at the cemetery, and many have travelled from different towns to lay their pets in their final resting place." 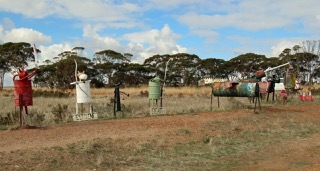 Over the weekend the members travelled to Kulin -about 50 Kms away - to view the "Tin Horse Highway", a collection of about 80 horse statues in a variety of comedy situations made from 44 gal drums and bits of old farming equipment spread along a 10Km stretch of road. 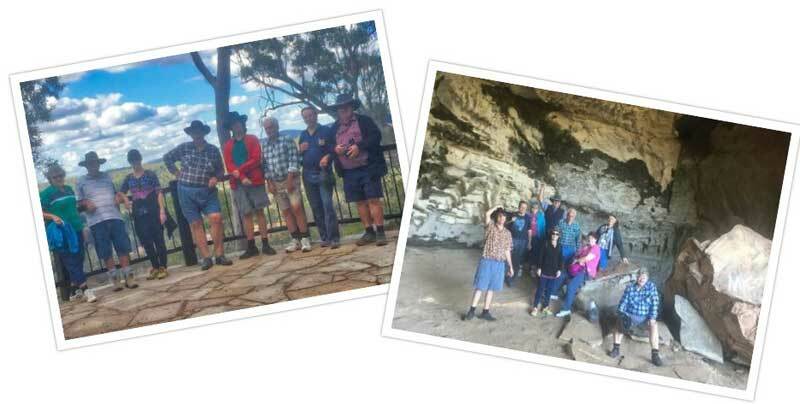 Branch members also visited the nearby "Gorge Rock" a local picnic and old swimming hole.